I recently interview Victoria Young Jamieson for a feature published in New Artist magazine’s launch issue. We covered far more than could fit on the printed page, but I thought her answers offered a wonderful insight into what it takes to balance a duel career as both an artist and curator. Here is the transcript in full. 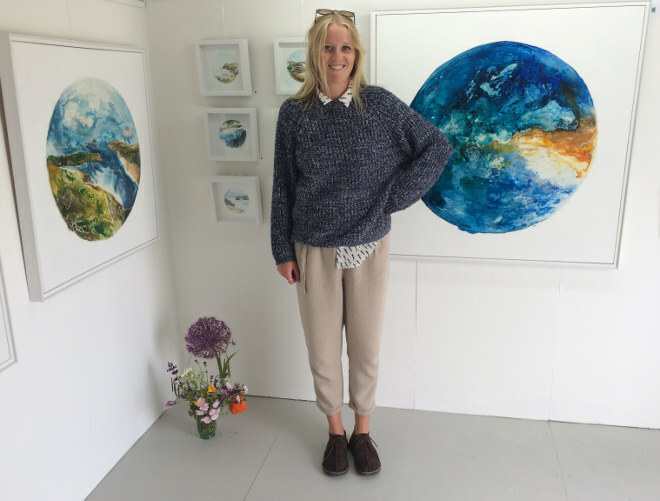 How did you become the curator of art exhibitions at The Crazy Fox? 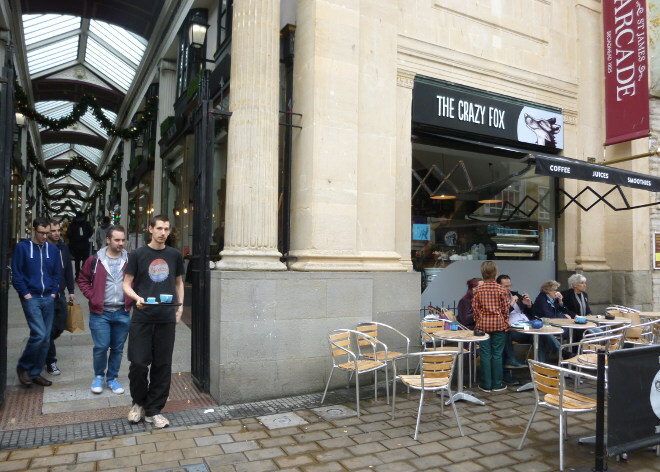 I started getting involved with The Crazy Fox in October 2014 when it first opened. 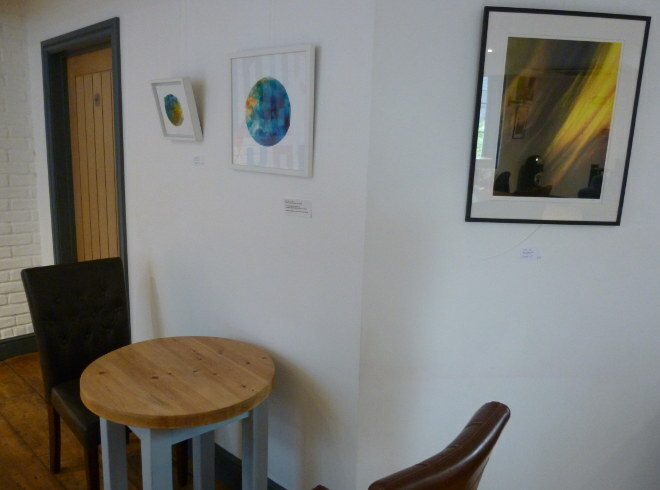 I was commissioned by its owner Charlie Stead to put up my photographs and prints. I had only seen the café in St James’s arcade once before, when it was a building site. The space already had so much character but when it was finally finished the café boasted light and bright spaces and large walls. I had recently moved up to Bristol from Cornwall and had just started to work for myself. Like most other artists, it has always been a dream of mine to set up a gallery, but I had no idea where to start. There were still some blank walls in the upstairs of the café, but Charlie didn’t have any more artwork for the space. Considering he had just refurbished the entire shop I don’t think there was much left in the kitty! I spontaneously proposed an idea where we could both benefit – if I found the artists and curated the exhibitions, the café would always be supplied with changing and refreshing artwork on the walls without him having to spend thousands of pounds. Since January 2015 I have been curating solo and group exhibitions of local artists work. It is a platform for artists to exhibit within Bristol without all the extra costs that you face with traditional galleries. How do you think this compares to exhibiting in traditional galleries? Why should artwork only be on view to the people visiting an art gallery? The work in a café is on view to everyone and anyone coming in to enjoy a coffee. It’s on view to the art enthusiast or to someone that wouldn’t usually visit a gallery. Art is also personal – sometimes you need to be able to look at something for a while to know that you want to own it. The café environment allows anyone to do so, and they can keep coming back to visit it. There are also no extra fees for the artists. I don’t charge a submission fee and there aren’t any additional costs. All I ask is that they provide the artwork, an artist’s statement and any extra information that I can use on social media to help promote their show. What do you think the advantages are for the café, and for the exhibiting artists? The café benefits because the space is always changing. It allows the regular customers and the staff to see something different every month. A bigger audience forms as friends or followers may want to come in and have a look. And it’s a good excuse to have a party as each of the artists can have a private view for their show! The Crazy Fox do a cracking espresso martini! Why would you recommend artists to take this approach to showing their art? For me, cafés have been a great way to build confidence before approaching bigger art galleries. The Crazy Fox is a good platform for artists to be able to experience hanging and exhibiting work and is a networking opportunity when there are group shows or private views. The space is open to any type of artists, whether they do art in their spare time or they do it as a profession, there is no pressure to be at a certain level. The space is there for them to take what they want from it. I hope that eventually The Crazy Fox will become more of a multipurpose space, with possible workshops, artists’ talks or activities from other art forms. 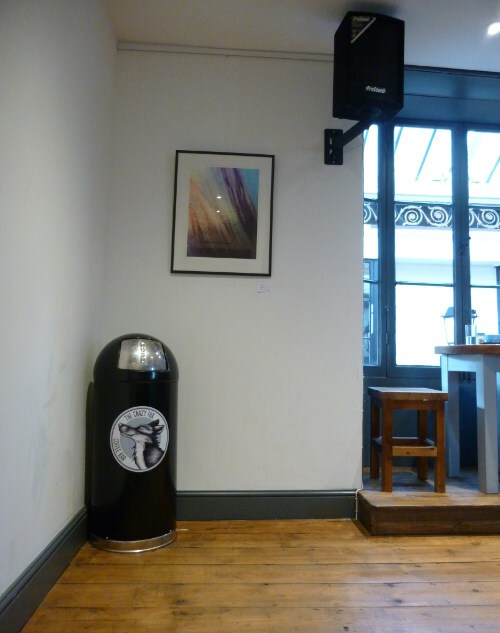 Are there any downsides to exhibiting in cafés that you think artists should be aware of? I explain to every artist before they exhibit that it is only a café and that people aren’t necessarily there to buy the artwork. But that isn’t really what my aim is for the gallery. It is providing artists with a networking opportunity and for the experience of exhibiting in a curated space. The space is huge so the body of work that one artist can create might not have the chance to be hung together again. I ask all the artists to bring business cards and they always seem to be disappearing so as long as word is getting out, it’s a step further to a commission or a sale. How do you think the trend towards art appearing in a broader variety of spaces benefits the public, artists and the art industry as a whole? Pieces of art are hugely subjective. Seeing a work hanging in an organic space such as a café allows people to more easily envisage how it might fit into their own home or work environment. An environment where there is furniture, people, food and movement lets people contextualise the art in a way that many gallery spaces wouldn’t be able to. There is a popular demand for affordable artwork and there are a lot fantastic illustrators, painters, printmakers producing it. The café is a platform for them to launch themselves and get noticed around Bristol. For the customer in the café, it may unexpectedly spark a memory, create a conversation, process a thought or catch the imagination of the exhibiting artist… and perhaps result in a sale. What do you think the trend means for the future of art exhibitions, and art itself? I think traditional gallery spaces will exist as they always have, and will always be the best way of viewing the art in its own right. However, artists and creatives are increasingly searching for new and unusual spaces that offer a different approach and viewpoint. Bristol thrives in this respect. Among my favourite unusual spaces are the Edwardian cloakrooms in Clifton and the Space Gallery on Stokes Croft. There are countless undiscovered gems waiting to be exploited. So much is going on, with lots of opportunities for artists to get involved. Every weekend another building or space becomes a pop up offering the public a different and exciting way of seeing. As long as people keep drinking coffee and eating cake, the art space in The Crazy Fox will exist. 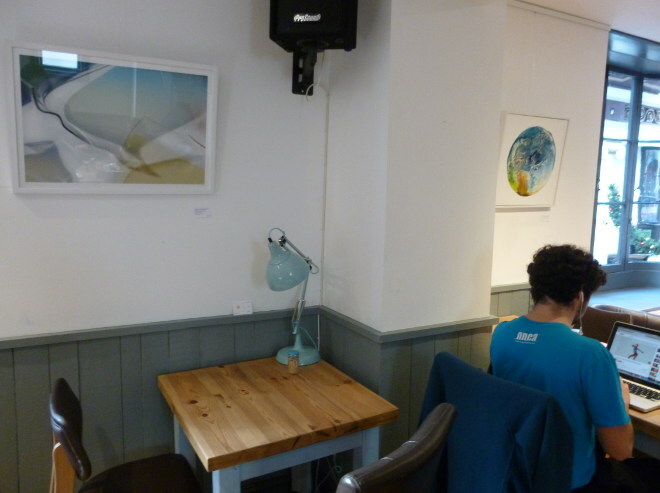 It benefits the artist by providing a space to show their work, the café by having a cycle of new artwork on the walls without the bill, and the customers, who get to see a new exhibition every time they come in. The Crazy Fox are currently seeking art submissions for their upcoming exhibition, with the theme ‘affordable art’. The deadline is Monday 21st March 2016. Find full details at thecrazyfoxart.tumblr.com. Know an artist or creative opportunity you’d like to see showcased on SkyLightRain.com? Give me a shout at judy(at)socketcreative.com.